very interesting will you include me in a ASI/ANI run? Have you posted in the ancestry thread? Ok, I'll keep you in mind if I do another ANI/ASI run. ok. thanks. but you did a few runs and i was never included and it would be cool if you run it for this run because you already included the two other (romanian) gypsies. my results would be a good addition to that, i think. if it doesnt take too much time. i dont want to sound annoying sorry. 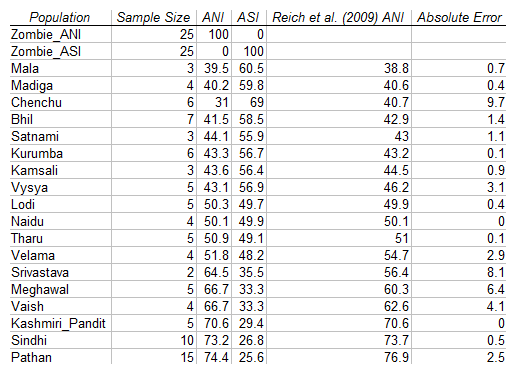 ANI/ASI ratio seems similar to the Romanian Gypsies; overall ANI+ASI is less, probably because you are part Gypsy. where does that fit in india, i guess somewhere central to south....which indian ethnicity could this be? This could really open up some new vistas. Have you thought about resuscitating possible living dead lying in the PCA grave between Basques and Sardinians? 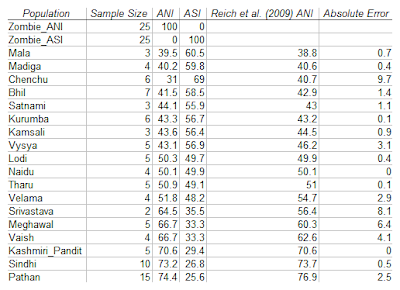 Apologies for being persistent, but Zombie ANI-ASI scores would be great for the South Asian participants (of the clusters specified here), too, if possible (according to your convenience). Or at least, if you could post a little note on how to calculate it yourself. 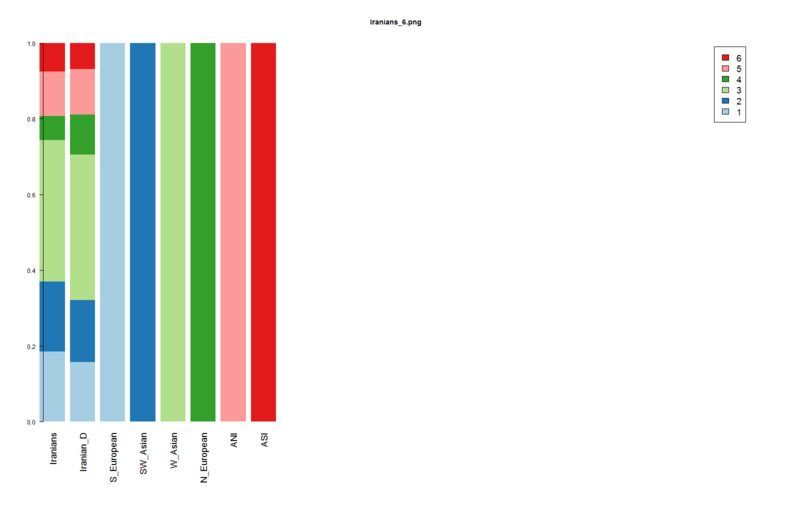 I couldn't find the concordance ratios, so.. I'd love to see more of these Zombies created! Eurogenes BPA has a recent analysis of Northern Europe, Genetic substructures across Northern Europe (Part 4), where the resultant clusters are particularly, as some individuals emerge as pure North Atlantic types in the Irish and to a lesser extent British population. Here's a Map of the 5 Northern European Components, and the North Atlantic one is centered on the extreme South West of Ireland - or County Kerry in other words. I have often mentioned the distinctive appearance of people in this area, as they are more likely to not have freckles, have sallow skin, have curly hair, have black hair than other Irish. 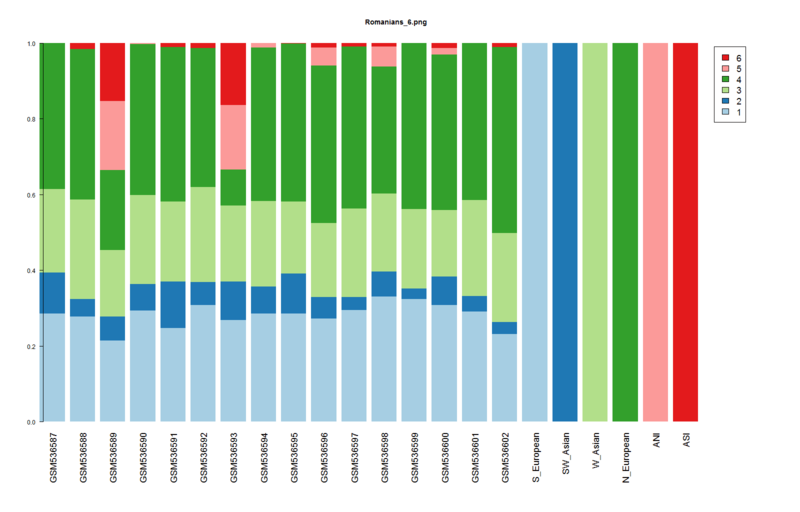 In this analysis people whose major ancestry is from this area, are 100% pure for that component. I'm in my Frankenstein lab, creating them as we speak. It's important to note that when a bunch of individuals score 100% on a component, that means that they are very homogeneous and "related" in the context of the broader collection of individuals, and not necessarily "pure". 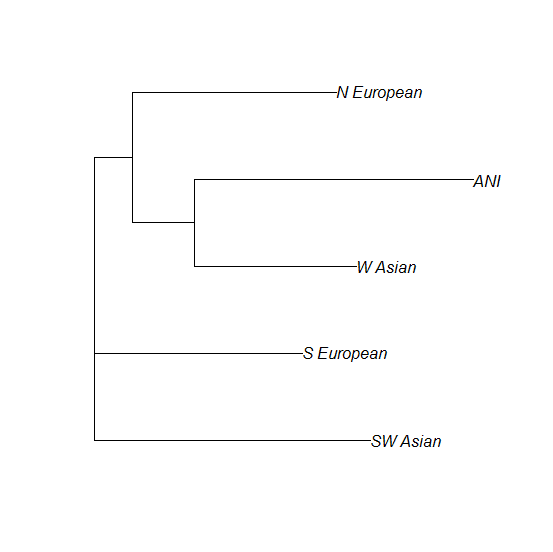 Such components are acceptable for "framing populations" (e.g., Sub-Saharans or East Asians) that are used to tease out non_Caucasoid influences in West Eurasia, but they are not very desirable for the populations of one's region of interest: if we ran ADMIXTURE on a collection of individuals, some of which were from relatively isolated/inbred areas and some of which were more cosmopolitan, the components would be defined by the inbred areas, but that would simply point towards the most inbred areas, rather than the areas of most anthropological interest. 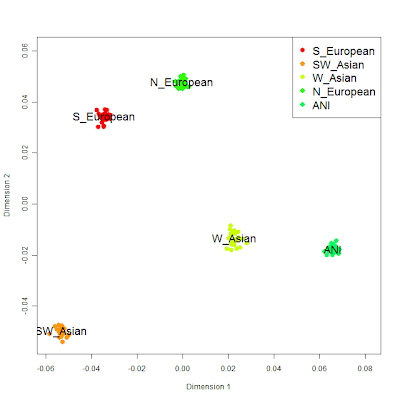 It is sometimes useful to use very homogeneous populations when there is anthropological interest in them (Sardinians for example exhibit the lowest Asian shift by far, and are unique in that respect), but as a rule the best components are the ones that reach a high % (but not 100%) in a number of different populations so are anthropologically-interesting but not population-specific. Having an Irish Zombie would allow you to compare people from Britain, Norway and Iceland, etc. - to check for an Irish component in them. I'm from Romania and I thank you for for the info about Romanians' ancestry - I was very curious about. 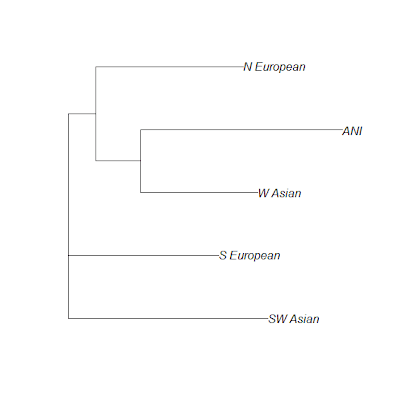 Do you have some graph concerning Romanians that diferentiates between Southeastern (Thracian) and Southwestern (Italic) and between Northeastern (Slavic) and Northwestern (Germanic) European ancestry ? I find this blog fascinating, I regret that it's now abandoned (but I suppose it took you a lot of your time).